I’ve always been a fan of Goody. ALWAYS. I’ve been a loyal customer since I don’t know when. 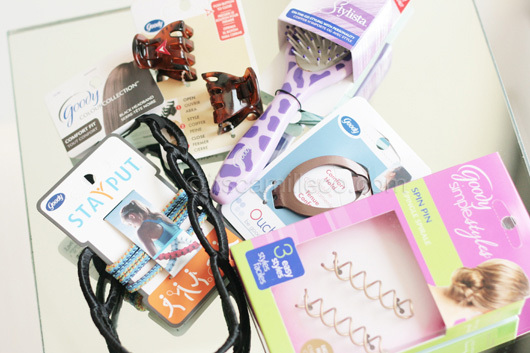 I swear by all their products especially their brushes, combs, bobby pins, Stay Put accessories, Ouchless elastics and of course, the spin pins (read about it here). 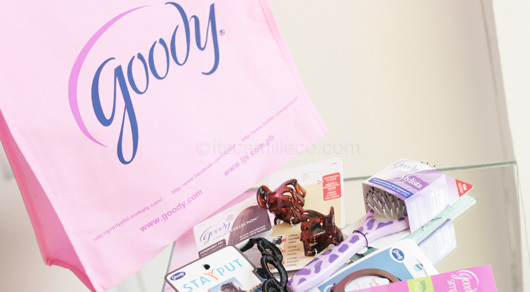 If you haven’t experienced all the wonderful things Goody products can do, here’s your chance! Follow me on Twitter and Google Friend Connect. Like Goody Philippines on Facebook. Leave a comment below with your Twitter name, GFC username and your favorite Goody product. It’s that simple! Contest is open to Philippine residents only. Deadline for entries is on October 1 (Saturday). I’ll be choosing the winner through Random.org. As usual, announcement of the winner will be done via my Twitter.